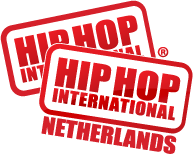 Hip Hop International Netherlands has been able to arrange overnight accomodation, with reduced rates, in the direct vicinity of the MECC for people interested in attending both days of the event. APART HOTEL RANDWYCK Maastricht (2 person rooms), incl. breakfast. STAYOKAY HOSTEL Maastricht (max.7 pers./min. 4 pers. ), incl. breakfast, towels, bedlinnen. If you opt for this option, please mention the name of your dance school / crew under company name when booking. This will allow the hostel to keep your group together.